All around us were some beautiful rock formations. We stayed at a timeshare in Sedona. It was called Sedona Springs Resort, and it is located at #20 on the map below. Unfortunately, we were in a small efficiency unit that was short on space. 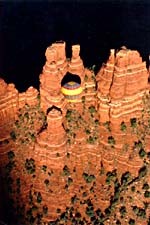 My Dad and Mary Beth stayed at the Villas of Sedona which was located next door and west of Sedona Springs. One of the more scenic views is from the airport on top of a plateau, which is south of the area where our resorts were located. 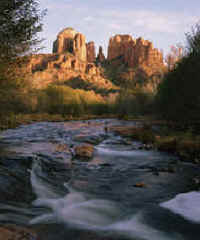 Below is a scenic view of Cathedral Rock. 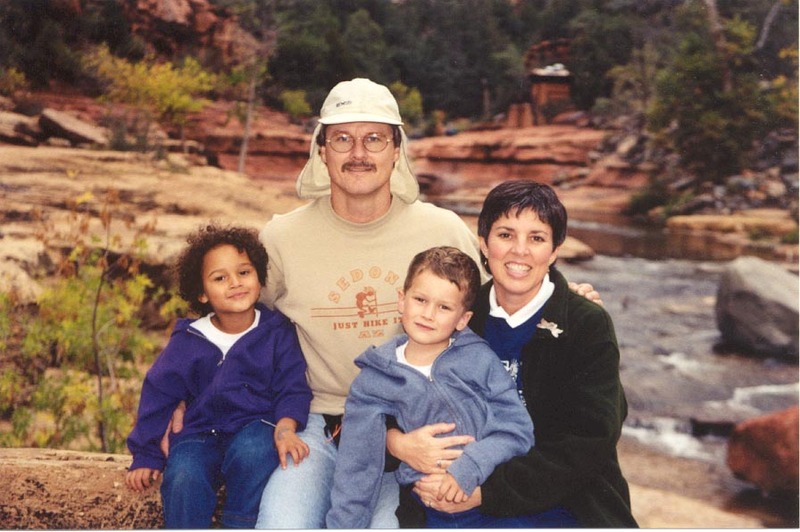 Family photo at Slide Rock. 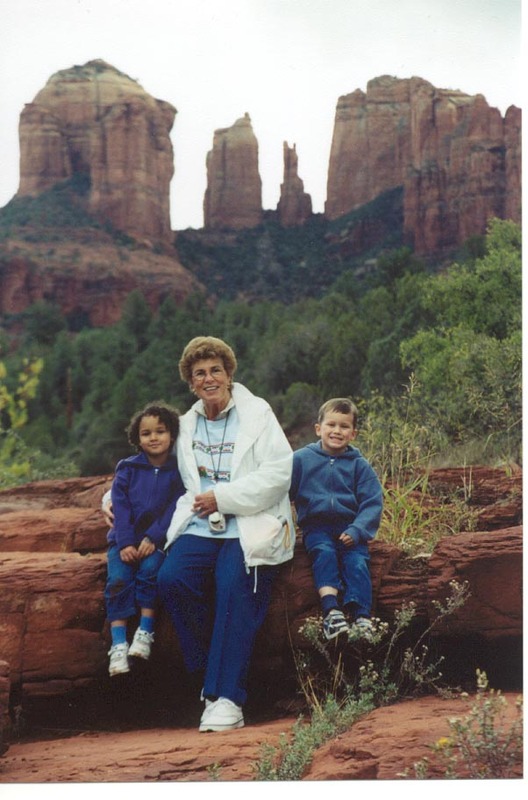 Marni with Katie Beth and Jeremy at cathedral Rock. 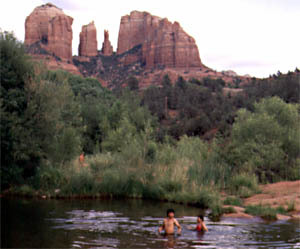 The area around Sedona is known for its ancient Indian ruins. There is a great deal of legend surronding Kokopele who was the Anasazi god of fertility... who played a flute in his spare time. 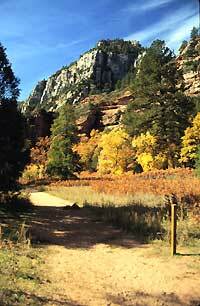 One of the favorite hiking trails in the Sedona area is the West Fork of Oak Creek Canyon. Tom got to hike several miles throughout the west fork region along with his Dad and his brother Greg. A map of the entire area is shown below.